Product code: Es3267 Categories: Antique, Antique Engagement Rings, Antique Rings. Now here is a very charming antique diamond cluster ring that has the most wonderful swirl design to the band and would make such a wonderful antique diamond engagement ring. 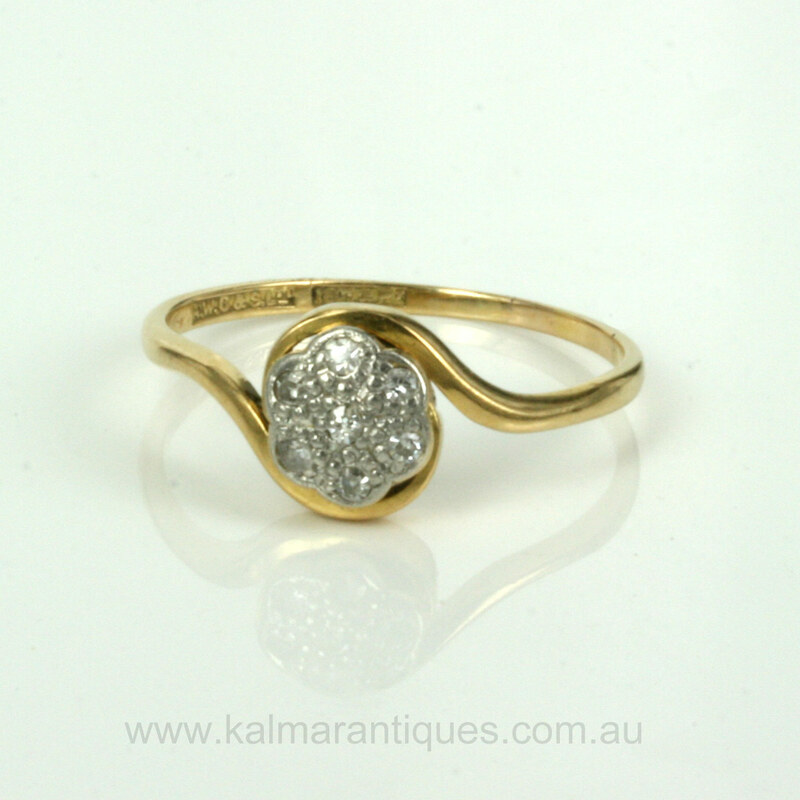 Hand made in 18ct yellow gold and platinum around 1910, the diamond cluster is a design that was also popular during the 19th century Victorian era and is still so popular as engagement rings today. The centre diamond is surrounded by six more diamonds and the setting that the diamonds are set onto measures 7.2mm in diameter. The diamonds total 0.08 carats. Then there is the truly delightful band which was made in a swirl design that wraps around the top which gives this ring so much more charm and character. Every thing about this diamond cluster ring is so charming and all go to making this a wonderful antique diamond cluster ring.